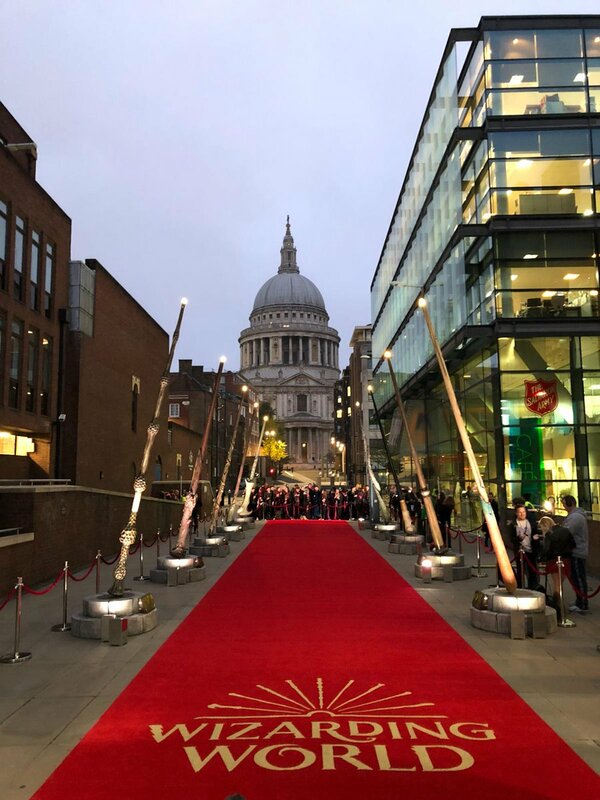 In support of author J.K. Rowling's charity Lumos, Warner Bros. presented a new wand installation outside St. Paul's Cathedral in London. 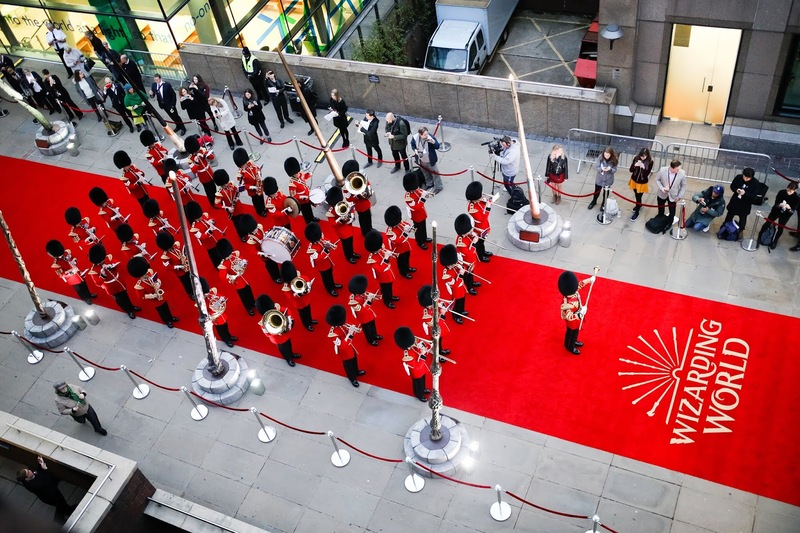 As part of an on-going project to London’s City Arts Initiative, which considers proposals on artistic and cultural merit to improve and enliven the City's streetscape. 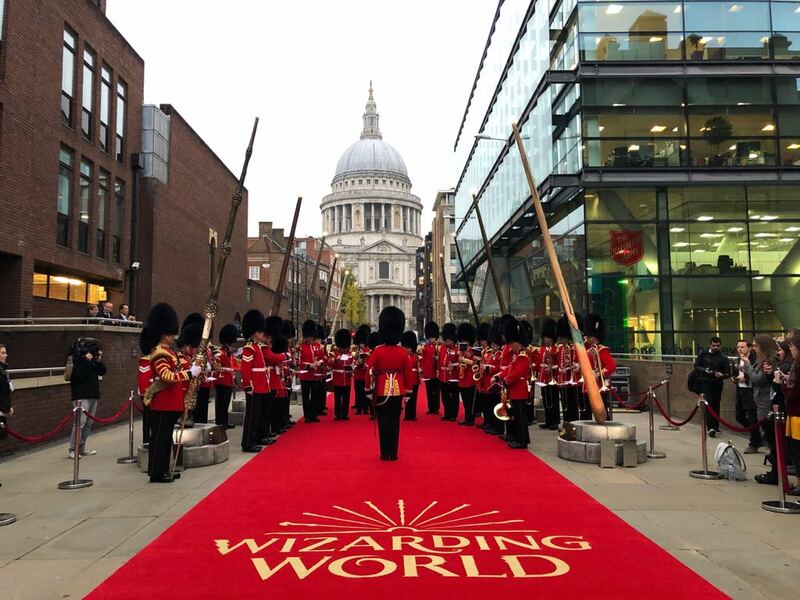 The latest project titled Fantastic Beasts: Wizarding World Wands supporting Lumos includes nine wands standing upright. Each one is an impressive fifteen feet tall and line up alongside the street leading to St. Paul's Cathedral. 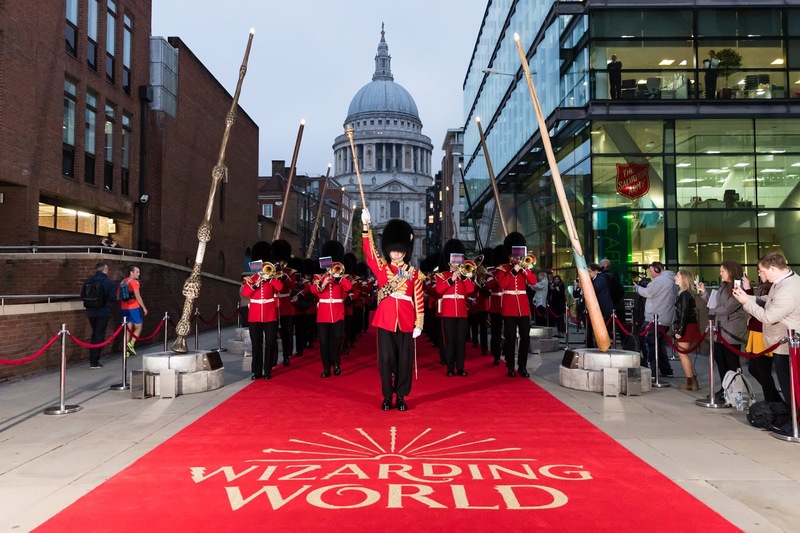 In what could be considered the biggest wand ceremony in wizarding history, the induction included a live performance from the Grenadier Guards performing music from the Harry Potter series such as Hedwig’s Theme to Fantastic Beasts and Where to Find Them. Head prop maker Pierre Bohanna for both series, and Paul Harris - leading choreographer for the combat sequences in Harry Potter and the Order of the Phoenix - was also on hand for a little wand choreography lessons. 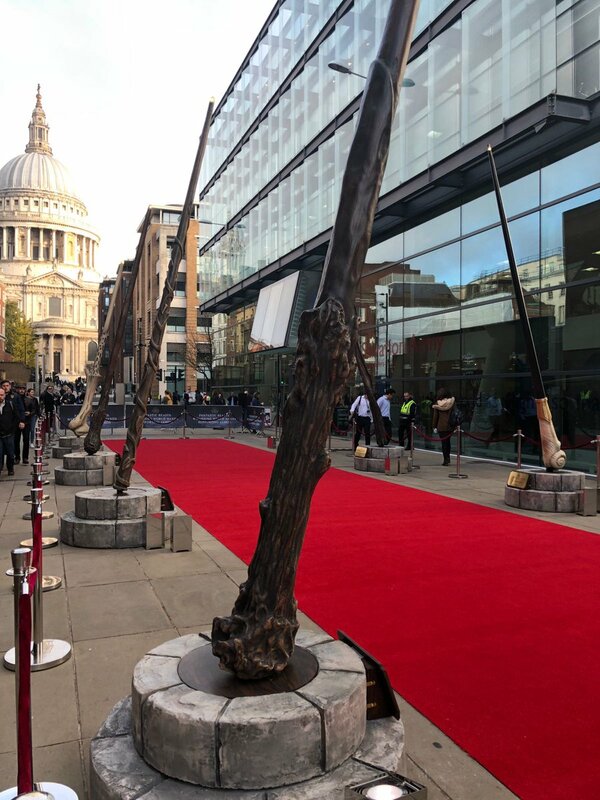 Fantastic Beasts: Wizarding World Wands supporting Lumos will be on display outside St Paul’s Cathedral from October 16th until November 13th. 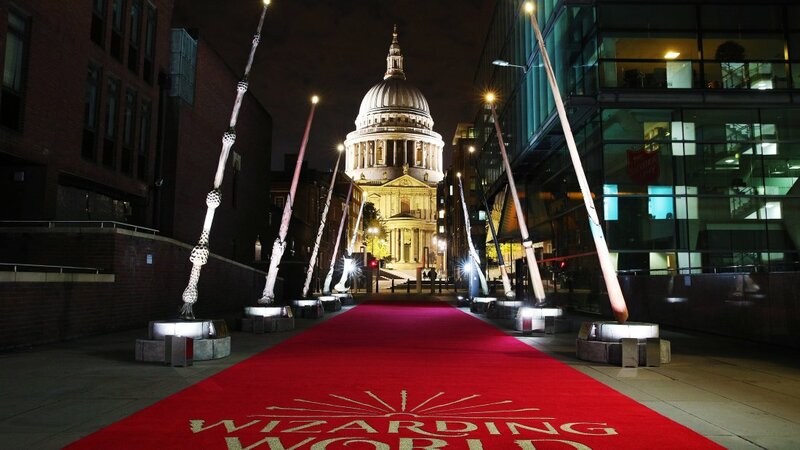 And every evening at 6.45pm, the wands will perform a short light display every 30 minutes. Check out the schedule of daily activities on Wednesdays opened to fans. If you'd like to make a contribution, visit the official Lumos website here. Right now, fans can receive an exclusive Newt Scamander pin, with all proceeds going to J.K. Rowling's organization. Check out more photos behind the cut!